Yet again, he was th eone who sent me into this downard spiral. You'd think I would learn my lesson. You'd think I wouldn't be so stupid. I don't see how I can let myself keep coming back to see you. Though it's in a bitter disguise. Calling me this and that. As I am for you. And make pretty history on my arm. Then why do you keep leading me to it? I don't understand you anymore. And never ask for another story. I really don't want to be ignored by you. 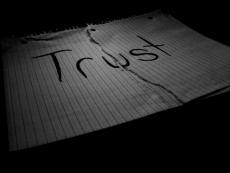 Because you hold every secret I trusted you with. Then, maybe, I'll be able to stay your friend. But it might be easier over time. I wish you wouldn't lie to me anymore. I wish you could just come clean. But we don't always get what we ask for. I can't wait until the same thing happens to you. I'll have my figners crossed. © Copyright 2019 XxXLoVeBuGxXx. All rights reserved. This page was created in 0.3492 seconds.